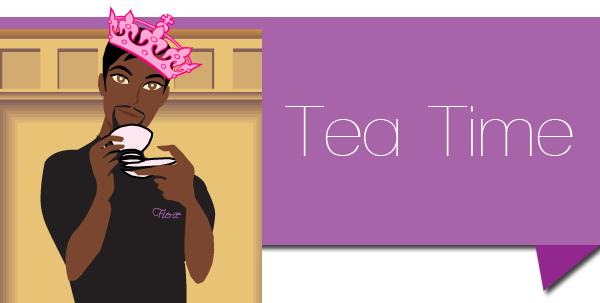 Time to kee kee over some tea. Just some things I’ve been thinking about. Discuss. The Queen has been inexorably drawn into the media firestorm Paula Deen created by coming out about her Diabetes (you know honey–The Sugars). Since I struggle with Type 2 Diabetes myself, it has been fascinating to listen to the comments surrounding whether or not Ms. Deen should use her celebrity as a platform for a healthier lifestyle. It’s pretty damn obvious that all of this has to do with money, and the fact that she is now endorsing a specific Diabetes medication had a lot to do with the timing of her announcement. Personally I say more power to her. I have no need for her to become my culinary Sugar Guru. But it did remind me of how in the moment I am when it comes to my health. Since I don’t see symptoms, I’m sometimes tempted to have that extra piece of chocolate cake. Even as someone who considers himself relatively intelligent, it’s hard for me to deny myself certain indulgences and comfort food in these trying times–even though intellectually I know I’m damaging my body. Why do we blithely entrust celebrities with our health and well-being? So many times they are being just as unhealthy as we are (yes, Miss Lohan, I’m looking at you). Is it really their duty to do any more than offer their famous face to sell products? You KNOW our Commander In Chief must be feeling VERY comfortable in his position. He is letting ALL his brothahood hang out! Even referencing The Apollo! Be careful Mr. Obama: you might scare a few white people! Tell me sir: do you sing to the First Lady like this to get her in the mood? I absolutely LOVE IT. But I often wonder in this still very polarized country if showing his “black” side will further alienate certain groups of people. I so want him to be who he is, but I also want him to handily win another term. So confusing. In researching stuff for my post on RuPaul’s Drag Race, I came across this phenomenal site and artist Chad Sell. 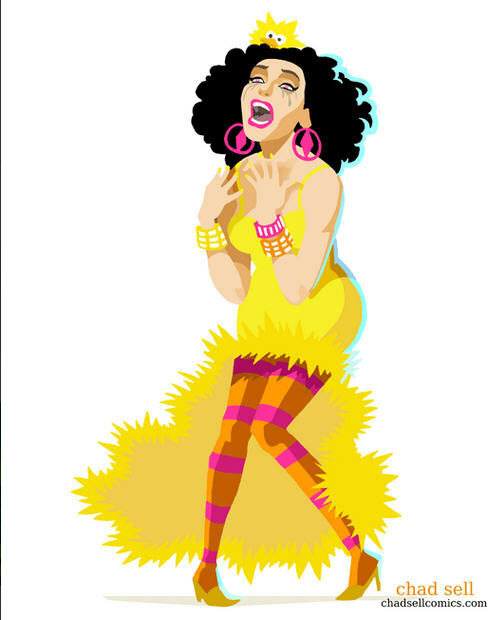 He has an AMAZING talent–not the least of which is shown in a series of artwork showcasing last season’s Drag Race. He manages to capture the essence of each contestant with a simple stroke. Brilliant. Check out his site and show him some love!